One Year Ago - We Entered The Deep Freeze! Blog updated at 3:05 PM MST. 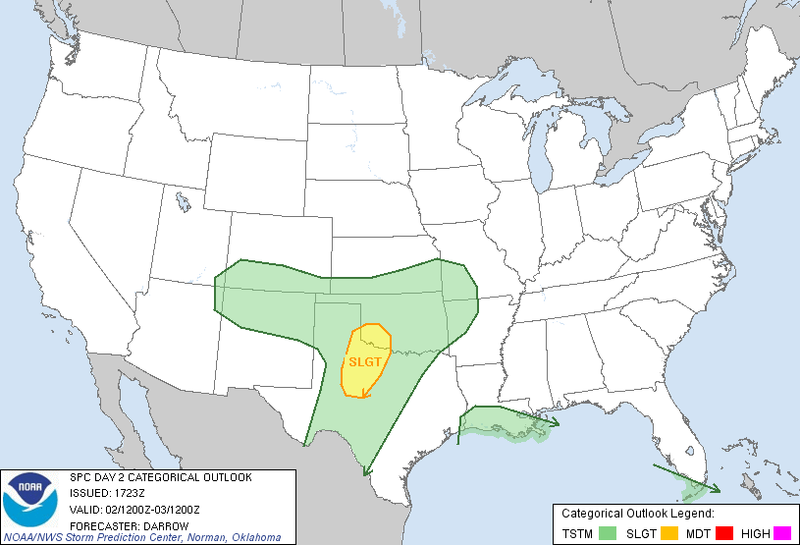 Day 2 Severe Weather Outlook Courtesy Of The SPC. 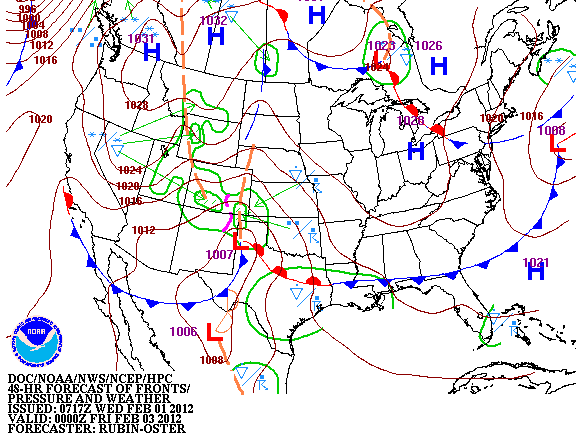 Surface Map Forecast Valid At 5 PM MST Thu Feb 2, 2012. WRF-NMM 500 MB Wind Forecast. 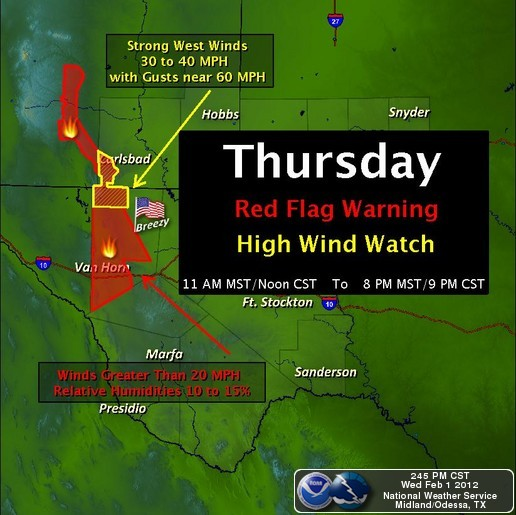 Red Flag Warning - Guadalupe Mtn's. 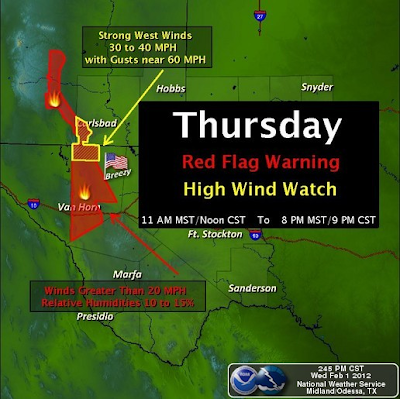 High Wind Watch - Guadalupe Mtn's. 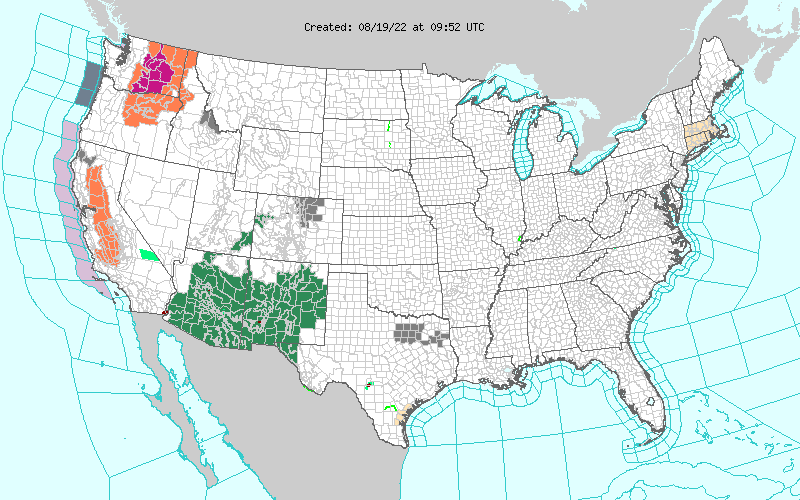 New Mexico's next weather maker is diving southward into Washington and Oregon this morning. 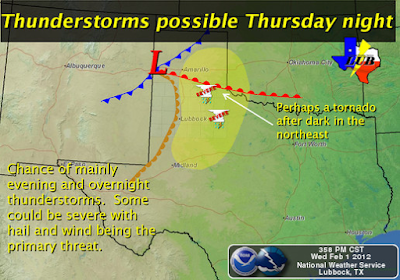 This next upper-level storm is forecast to be located near the Four-Corners Region by sunset tomorrow. 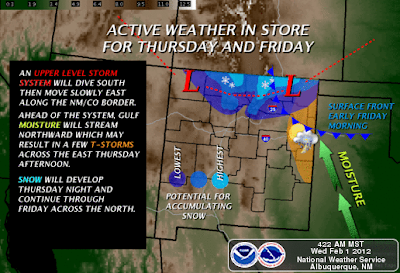 This storm is then forecast to track eastward across northern New Mexico and southern Colorado Thursday night into Friday evening. 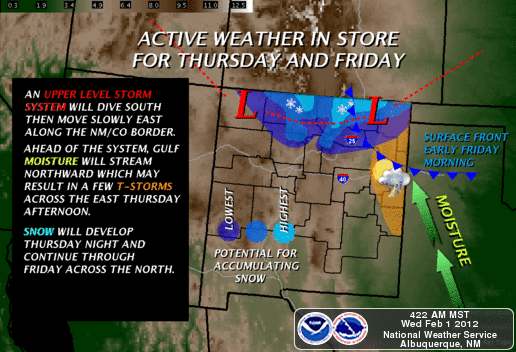 Since this next winter storm will located well to the north of southeastern New Mexico, most of its inclement weather will remain to our north. 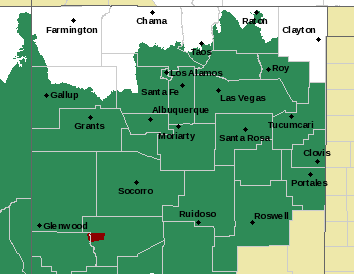 Please see the latest Special Weather Statement from the Albuquerque NWS Office, concerning this storms impacts across northern New Mexico. Warm Again Today & Thursday. 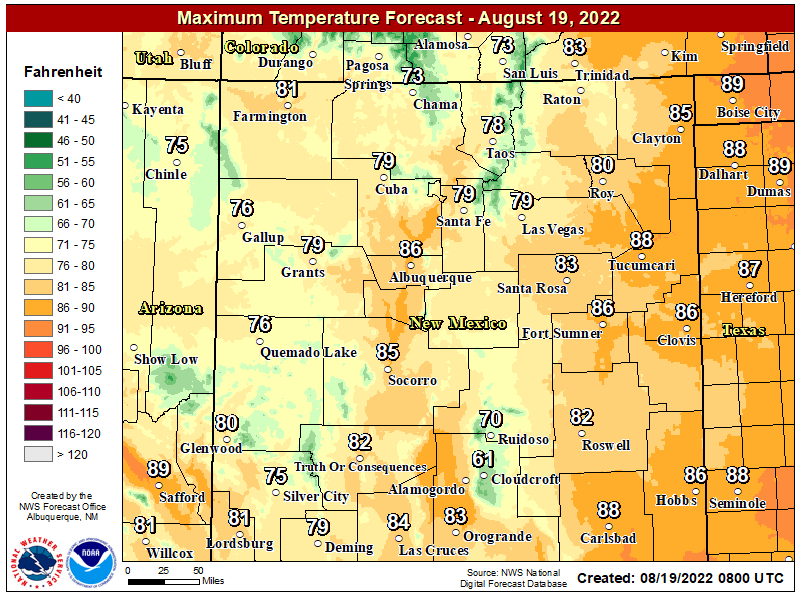 Mostly sunny skies will continue across the area today into Thursday. Our afternoon high temps will range from the upper 60's to the low 70's today. 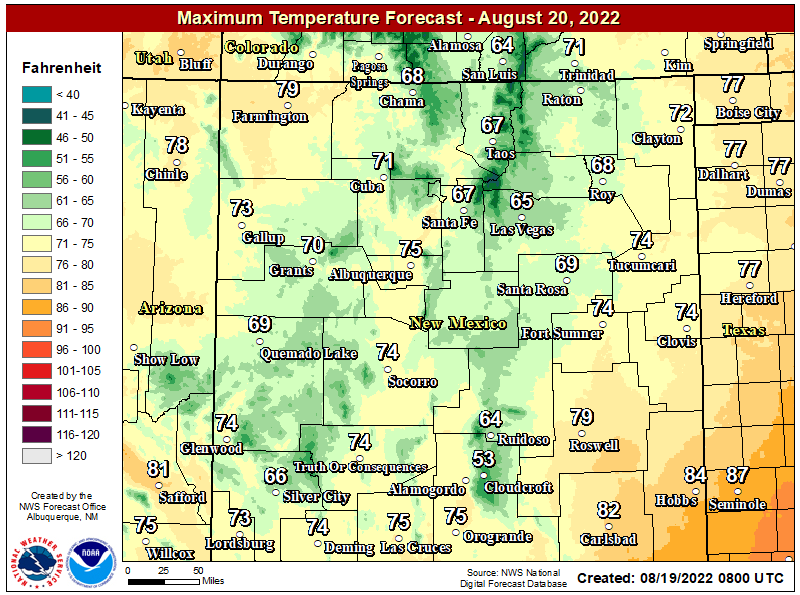 Tomorrow's highs will range from 70 - 75 across most of the local area, with a few of the normally warmer spots reaching the upper 70's. Southwesterly winds will return this afternoon but they won't get out of hand. 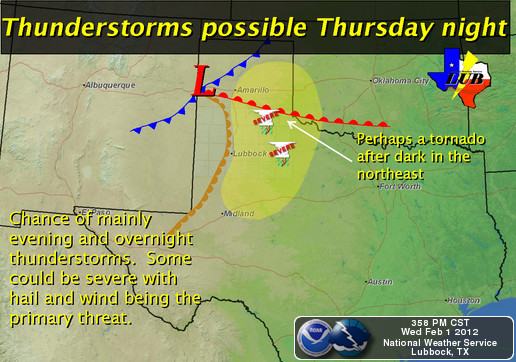 Thursday will be breezy ahead of the approaching cold front from the north. Southwesterly winds will kick up tomorrow afternoon to around 20-30 mph with a perhaps a few higher gusts. 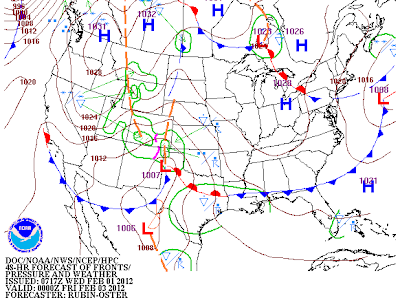 A cold front will move from north to south across the area late tomorrow afternoon and evening. 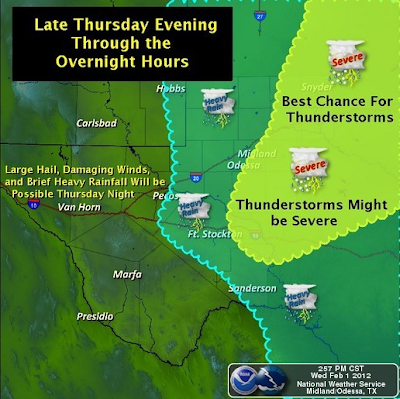 The dryline will mix eastward, further into west Texas tomorrow night. Cooler temps are forecast for Friday with our highs only expected to be in the 60's. A re-enforcing shot of colder air will arrive Friday night, which will keep our highs on Saturday in the 50's, and the upper 40's to the low-mid 50's on Sunday. Severe T-Storms Across W TX? 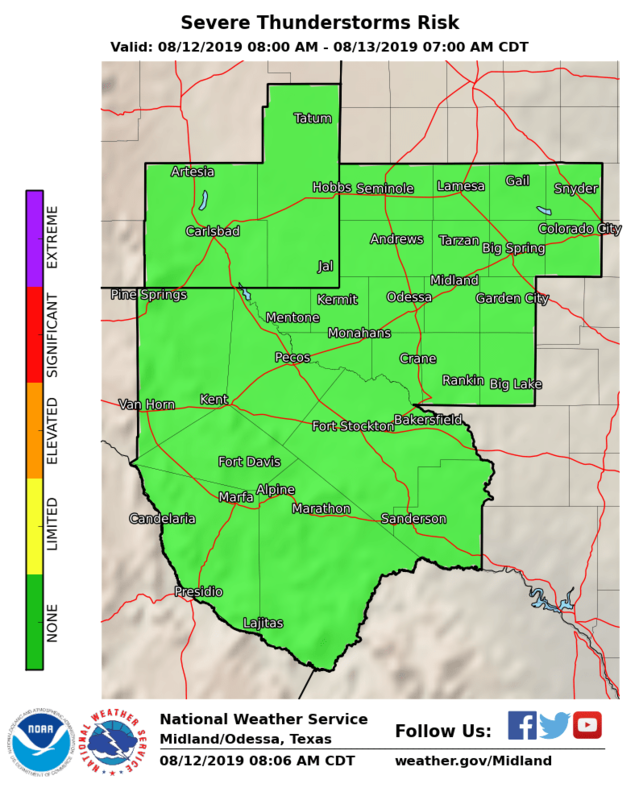 As the upper-level storm draws closer to the state tomorrow, the dryline is forecast to sharpen up along the New Mexico/Texas state line. Moist low-level Gulf of Mexico air is forecast to deepen east of the dryline into Friday. This along with an atmosphere that will become increasingly more unstable, especially Thursday night into Friday morning, will set the stage for scattered thunderstorms along and east of the dryline. 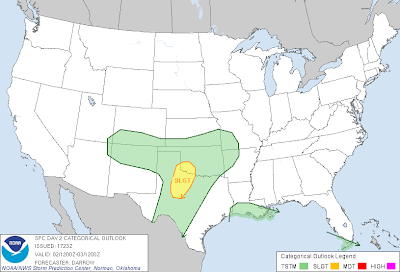 Some of these may become severe and produce damaging winds, large hail, and perhaps an isolated tornado or two across parts of West Texas. Though the tornado threat at this time appears to be fairly low, any discrete supercell thunderstorm that becomes rooted at the surface, will have the potential to produce an isolated tornado. 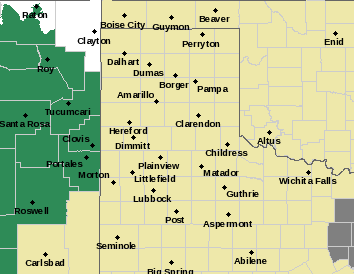 Clusters of thunderstorms are expected and these will pose the greater risk for damaging winds and large hail. One Year Ago We Started The Plunge. On the evening of Jan 31st, 2011 a powerful polar cold front entered southeastern New Mexico. I posted the following comments on my summary of the event on February 5th, 2011. "One of the strongest arctic invasions in decades arrived in the northern sections of southeastern New Mexico just before sunset on Monday, Jan 31st. 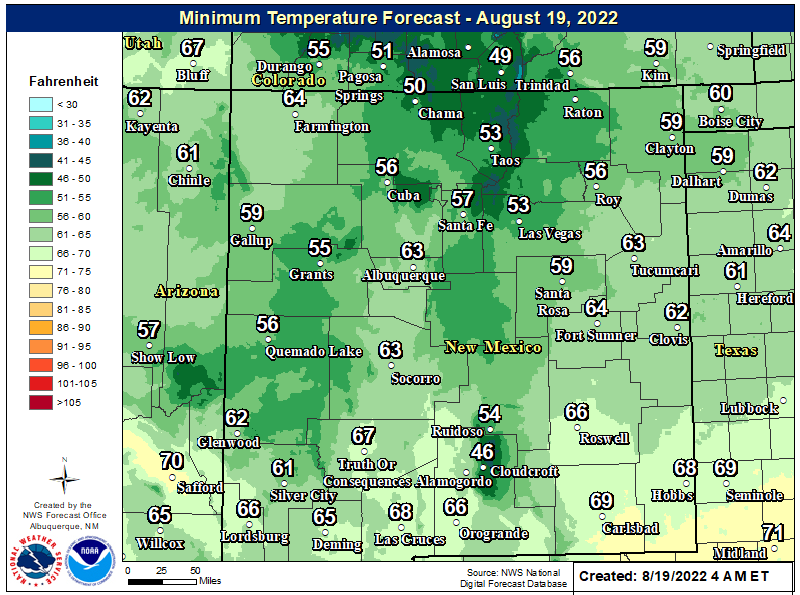 The Roswell Airport recorded a high temperature of 68 Monday afternoon, the Artesia Airport reached 68, the Carlsbad Airport 70, and Hobbs made it up to 67. These high temps were some ten degrees above normal. That would be the end of the balmy temperatures as mother nature was fixing to give us a reality check. And what a shock it was, this considering that most of our winter here locally has been unusually warm and very dry. 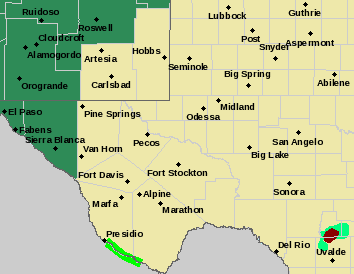 By 9:00 PM the arctic front had moved south of a Hobbs-Carlsbad line. When the cold front arrived in Carlsbad, my thermometer dropped from 56 degrees to 43 degrees in less than five minutes. My barometer shot up like a rocket from 29.76" of mercury to 29.89". Temperatures continued to fall throughout the night, and most locations recorded their high temperature for the day on Tuesday at midnight on Monday. We stayed below freezing here in the Pecos Valley from roughly midnight Monday night until nearly noon on Friday. I don't have the data available to know if this was a new record for the number of days below freezing. Id bet though that it would make the top 10 list, maybe even the top five. Northerly winds sustained at 20-30 mph with gusts to near 40 mph accompanied the frontal passage and continued into Tuesday. Nearly continuous Wind Chill Advisories, and Wind Chill Warnings were issued for all of the local area from Tuesday morning into Friday morning. This was something that I don't ever remember happening before. Measured wind chill values from Tuesday into Friday mornings ranged from -5F to -20F across the lower elevations of the Pecos Valley, to -40F across the mountains. From northern Lea County northward to the Clovis area, wind chill values hovered around -25F to -30F at times. That was just insane to have these kind of wind chill values for three and one-half days in a row. Wind chill values even crated to the -25F to -40F range in the Albuquerque and Santa Fe areas." Low temperatures across the local area during this event plunged as low as: -31F at the Fort Stanton Raws, -30F at Mescalero, -27F at the Ruidoso Climate Co-Op Station (a new all time record low temp), -27F in Dry Canyon east of Cloudcroft, -24F at the Aspendale Mountain Retreat south of Cloudcroft, -24F at the Elk Climate Co-Op Station, -23F in mid-town Ruidoso, -22F at the Capitan Climate Co-Op Station, -22F at the Silver Springs Campground northeast of Cloudcroft, -21F at the Mayhill Raws, -20F at the Cloudcroft Climate Co-Op Station (a new record low temp), and -19F at Holloman AFB in Alamogordo. 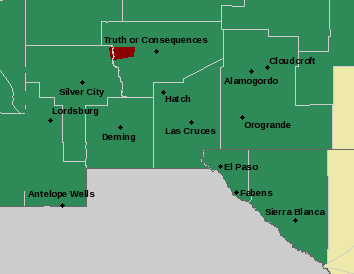 Here in the Pecos Valley the 8-Mile Draw Raws northeast of Roswell recorded a low of -12F, the Roswell Airport -11F, the Artesia Climate Co-Op Station -7F, the Hope Climate Co-Op Station -5F, the Carlsbad Airport -4F, and the Carlsbad Caverns Climate Co-Op Station -4F. To view the whole summary of this historic winter event please click on this link. You can also view my other posts concerning this event, by going to the lower right hand side of my web page and opening up the "Blog Archive Link." Is The Brutal Cold In Alaska Coming South? Record breaking cold has kept much of Alaska in the deep freeze for this winter. Some areas are experiencing their coldest winter since 1971, others the coldest January on record. Please see this Special Weather Statement from the Fairbanks, Alaska NWS Office for more details. Offical low temperatures observed this past weekend plunged down to -66F at the Fort Yukon Climate Co-Op Station, and -64F at the Kandik River Climate Co-OP Station. Other record low temperatures can be found here- US National Weather Service Alaska Facebook Page. There are some indications that this brutally cold arctic airmass that has been bottled up over Alaska, may try and head south into the lower 48 states in about a week to ten days. 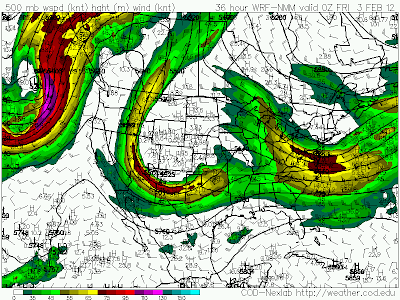 Meteorologist Paul Dorian published a briefing on You Tube that spells out how this may happen. Please watch his very interesting video below. 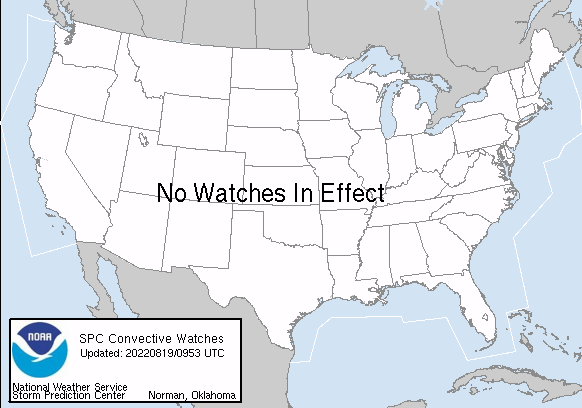 Meteorologist Paul Dorian's You Tube Channel. Will some of the bitterly cold polar air make it into New Mexico? That's a really tough question to answer. For now anyways, it appears that the worst of any such outbreak would stay east of us, however a pattern change is underway, and the details this far out are really fuzzy. So I will keep watching this and will let you know if anything changes. 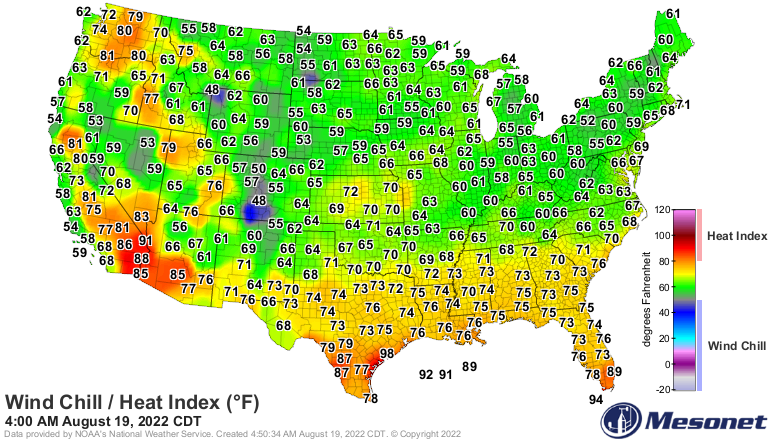 Gulf moisture surge and dryline t-storms this early just E of you...wow! 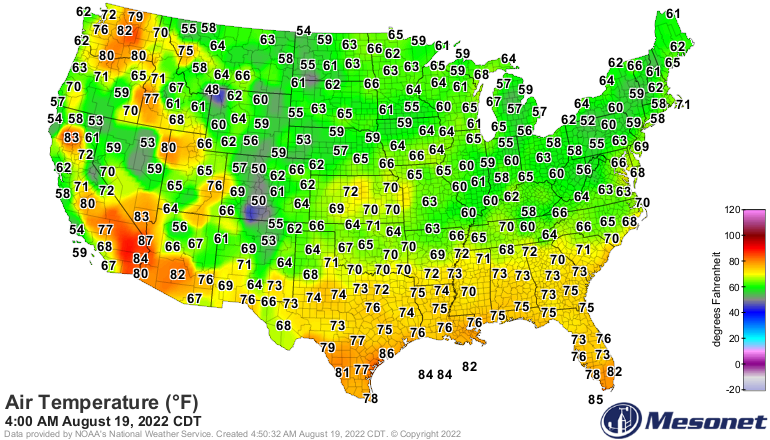 But the cold air in AK...please don't head to NM. That YouTube video briefing is scary, though more for the E.
This will be the second severe weather event recently for W TX David, rather early start this year it seems. I don't see anything in the models to indicate that NM will get slammed by this arctic airmass, at least in the near future. I am leery of that airmass though...anytime you get one that cold for that long it bears watching. It will be fun seeing how this all plays out over the next couple of weeks that's for sure.